[i]11/30/13[/i] - I formatted my hard drive without saving the source code to my mods so I had to rewrite everything from scratch. The code is all 100% new and freshly written with a much cleaner architecture and structuring. I updated MorphCore, CreepersNoCreeping, BatsDropLeather, and HorseAccessories to Minecraft version 1.6.4. I have decided to drop the other mods I developed and maybe I will enhance and pick them back up again later, but for now they are not going to be updated due to not much interest being shown in the lack of downloads they received overall. [i]08/10/13[/i] - Fixed a bug in BatsDropLeather. Updated MorphCore. KNOWN BUG IN MORPHCORE that shows VillagerSpawn as loaded even though its not. I know this and its a simple fix but I had already uploaded the mod before I realized it. It WILL NOT effect anything in-game only a little notice in the console when the mods load. I will fix it in next update. [i]07/29/13[/i] – Updated all mods and developed new ones. MorphCore has new methods to check for all of my mods and load them in the correct order. Also logs any errors you can show me for easier fixes. CreepersNoCreeping made minor bug fixes and fixed issue with configuration file. BatsDropLeather made minor code changes for easier viewing. No bugs. 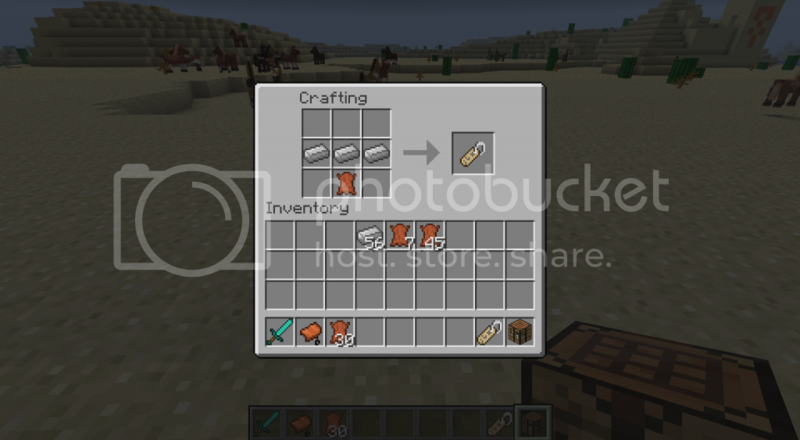 HorseAccessories made minor code changes and also added a recipe for craftable nametags. Added ZombieTweak mod. Added WitchSpawn mod. Added RebelSnowmen mod. Added VillagerSpawn mod. [i]07/13/13[/i] - Updated CreepersNoCreeping and BatsDropLeather to stable release of Forge for 1.6.2. Added HorseAccessories mod. Added MorphCore Mod which is a required dependency from version 1.6.2+ to use any of my mods. [i]07/09/13[/i] - Updated CreepersNoCreeping to Minecraft 1.6.2. Added a config file for advanced customization of mod attributes. [i]07/05/13[/i] - Updated CreepersNoCreeping and BatsDropLeather to Minecraft 1.6.1 and made it Forge Dependent. Updated policy on OLD versions of Minecraft. Added Adf.ly links back in. [i]04/06/13[/i] – Updated CreepersNoCreeping and BatsDropLeather to Minecraft 1.5.1 (versions 5.0 and 3.0 respectively). Discontinued the WheatTweak mod because it was patched in-game. [i]03/09/13[/i] – Updated CreepersNoCreeping and BatsDropLeather to Minecraft 1.5 (versions 5.0 and 3.0 respectively). Created the WheatTweak mod. [i]12/19/12[/i] – Updated CreepersNoCreeping and BatsDropLeather to Minecraft 1.4.6 (version 4.1 and 2.0 respectively). Bats can now be bred when fed seeds. NOTE: I forgot to add in the code where Creepers make sounds when wandering, I will push an update soon to fix it. Everything else works fine. [i]11/15/12[/i] – Updated CreepersNoCreeping to Minecraft 1.4.4 (version 4.0). Creepers will only burn in sunlight and flee from the sunlight now. I also released the V1.0 of BatsDropLeather, which is obvious that it does. [i]10/25/12[/i] - Updated CreepersNoCreeping to Minecraft 1.4.2 (version 3.1.2). Creepers burn in the sunlight, they make sounds while wandering, they are afraid of Snow Golems, they avoid water, but can swim. [i]10/21/12[/i] - Updated CreepersNoCreeping to Minecraft 1.4 (version 3.1.1). Due to problems integrating my old code to the newest changes in 1.4, I am unable to make creepers explode in water, so I have removed that feature in this version. All other aspects remain the same. Creepers are still afraid of Snow Golems and still burn in the sunlight and they still make a sound just wandering around. [i]9/13/12[/i] - Updated DBC to 1.3.2. Started developing V1.0 of HarderMobs++. [i]8/12/12[/i] - I released my V3.0 with new features and a few bug fixes. Creepers now fear snowmen, nerfed water explosions, AI fixes, etc. [i]8/2/12[/i] - I added smarter AI to creepers. They now fear the sunlight and will attempt to find shade instead of just allowing themselves to burn relentlessly. They are also afraid of water and cannot swim and will die when inside of water. [i]7/31/12[/i] - I updated to Minecraft 1.3.1 and also made it to where Creepers explode again. So they are no longer nerfed or made void. They simply burn in sunlight now for 1.3.1. [i]-Use this mod in a video on YouTube as in Reviews and/or Lets Plays. Discover my mods on YouTube! MorphCore is a collection of classes that all of my mods now use and share. It is a required dependency that you MUST install to use any of my mods. If you do not install this, none of my mods will be loaded into your game. It is a very tiny file to download and it greatly helps me out when I am updating my mods now and in the future to be able to edit all my regular variables, methods,config files, and constants all in one place. As of Version 2.0+, MorphCore now checks for known incompatibilities with mods for MorphCore. It states known incompatible mods so that a user will know that the mods are incompatible and can take corrective action before you get involved in a game and realize you wasted time. -You MUST have Minecraft FORGE installed first. -Download the JAR file below and simply place it into your MODS folder. -Then download any of my other mods and enjoy! - Creepers will now burn in Sunlight just like Skeletons or Zombies. - Creepers will now flee to find cover in shaded areas such as under trees or inside caves while burning in sunlight. - Creepers now make a sound while in game so they can't creep on you quite as easily. Its not very audible so be careful! - Creepers are afraid of water because they cannot swim because of their lack of arms. If a Creeper touches the water it will explode. - Creepers are now afraid of Snow Golems to twice the effect that they are afraid of Ocelots. The CreepersNoCreeping config file has many customizable options in it. Navigate to your CONFIG folder and look inside of the creepersnocreeping.cfg to see what you can change! A new option was added to prevent creepers from spawning (off by default) in case you don't want creepers around at all! If you have been using my mods for long, you will realize one thing. I LOVE simplicity. And simple is exactly what BatsDropLeather is all about. As of MC 1.3, you now have to farm cows to get leather to make books which turn makes bookshelves for your enchanting rooms. So I realized that the Bats were pretty useless, So I decided that lore-wise its not too far of a stretch to allow Bats to drop leather when their killed. Thus this mod was born. They also have a chance to drop a melon seed when killed (off by default and only at night time), so be on the lookout! They also drop Experience Orbs now! Check out the BatsDropLeather config file for more customizable features! **IMPORTANT NOTE for MC Version 1.6.4:** – Previously, BatsDropLeather was incompatible with AtomicStyker's PetBat mod. I have since fixed this issue in the latest version but didn't realize that I had until after I released it. So my incompatibility checker from MorphCore WILL crash your game if you install both mods. HOWEVER, I added a safeguard for things like this. If you go into the MorphCore config file and change FORCE_COMPATIBILITY=false and change it to TRUE, then your game WILL NOT crash when loading. I have tested this myself and it works like a charm. So if you are crashing and the error log says incompatible mods detected – PetBat, this is how you fix it. If you don't use Petbat, then disregard this message. HorseAccessories is a mod that seeks to accomplish a few simple things. While these items have recipes that makes them craftable, they do require some harder items to craft such as diamonds and such to make it more difficult to craft them and not easily obtainable in the early game. However, by popular demand I have added a setting in the CONFIG file to toggle on EASY Recipes (harder recipes is default). 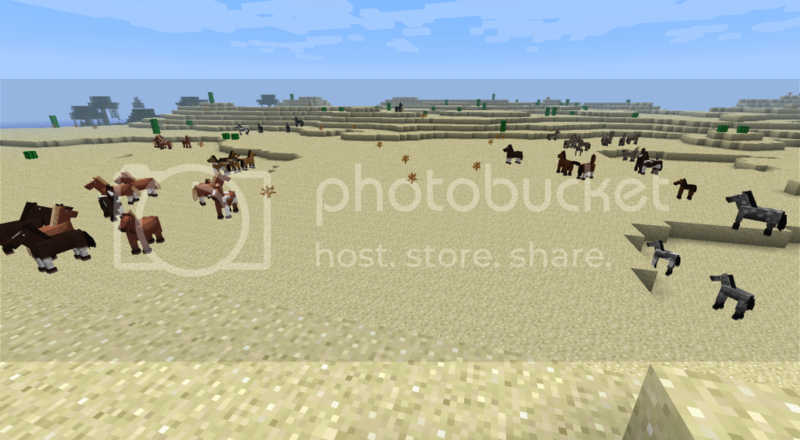 Horses can also spawn in a few more biomes such as forests, taigas, deserts, and Extreme Hills (off by default). I plan to start adding more features and functionality to this mod in time. Some things I am looking into adding are horse drawn wagons, plows, and enchantable horse armors. **NOTE:** – Only SADDLE and NAMETAG recipes change for EASY recipes. The Horse Armor stays the same since a saddle is needed to craft them anyway and the saddles are easy to make now since diamonds aren't needed for SADDLES on EASY recipes. These mods are very simplistic and seek to make the Single Player a little easier for those of you who hate those pesky creepers, feel like bats are useless, and want a different experience to obtaining horse armor and saddles. I have tested these mods alongside Forge and Modloader mods and have had zero issues. So it should be compatible with [i]almost[/i] anything. If you find any compatibility issues please let me know! Any suggestions or feedback is welcome. Download MorphCore Mod (REQUIRED TO USE ANY OF MY MODS) from the link below, you will get a .jar file. You MUST have FORGE installed first. Drop the .jar into your mods folder. THEN Download (LINK BELOW) any of my other mods you wish to use and also place them into the mods folder. Awesome. I like this, but maybe make creepers do something very dangerous still? Maybe they summon monsters when they would normally explode? I dunno. It's nice though, creepers have destroyed my items time after time, so this should help. Thanks for the constructive criticism! I'll try to tweak some things in an update I'm working on. Will The Creeper still Hurt You??? No, in case you were wondering still. 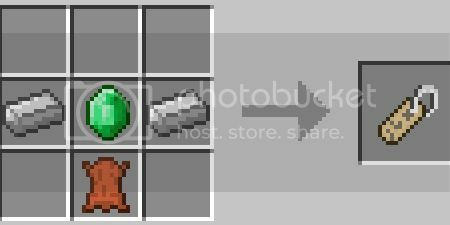 notable changes from previous are that creepers will still explode and harm you, but they will burn in sunlight making them no longer a threat during the day. Still installing the mod though tehee! LOL! I was thinking the same thing when I made it man! I'm adding a video to the first post that I found of someone who reviewed it, though I don't know which language it is in! Updated to include Smarter AI. Only the 1.2.5 version makes Creepers not explode, but I will make a new version that supports that as an option since you asked for it. As a result, Creepers no longer explode, rendering them NERFED completely as they cause no damage to the player whatsoever, but can still be killed to collect gunpowder. They also DO NOT burn in sunlight since they don't do harm anyways. Can you update the 1.2.5 version so have the smart ai and such because I will not use 1.3 as it is not a good mc , great new features just horrible optimization on performance. I will look into it tomorrow, I'll have to find an old Minecraft jar for 1.2.5 though because I dont have it anymore and I'll have to rewrite the whole code, but I'm not really working on anything right now anyways apart from another project that Im still in the design stage. I'll try to make the 1.2.5 version identical to the 1.3 Smart Ai version as far as avoiding water, and fleeing from sunlight, and burning in the sun etc. But not nerfed. A new update I'll be adding soon is like how Creepers are afraid of Ocelots and Cats? I will make them afraid of torches, so if you have torches out around your house or place one down in a cave, then will run from it. Just a little touch someone suggested to me that I like. So be on the lookout for that as well. Also the optimization issues you have are because of the internal server that now runs when playing 1.3. I can't say I fully agree with it, but it does open doors for developers that were previously closed. Though like you said, it is more resource demanding hardware wise. Though I got a custom built PC with 8 GB of RAM and a 6 core processor, so I dont notice a difference. Updated. Includes optional link to HarderMobs++ that I am currently working on to make for more challenging mob encounters. Still in beta. nice mod! However, creepers instantly disappear when in water, they even walk to water when being burned, and do not leave loot when dying of water. You want to be a dragon? Well, then you need to have wings, a passion to hoard, and have a deadly breath. Yes, its something I'm still trying to work on. I'm hoping to get that sorted soon. The AI for avoiding water works good, EXCEPT when their on fire, then they try to jump in the water to put themselves out and end up committing suicide anyways. But I'll be looking more into that this week. I'm trying to find a different way to kill the creepers than the setDead() function and use something like suffocate or something instantly. ok, well, it's a nice mod to add to creepers, I'll give you that =).